Although most of the clothes we receive are used, every now and then we get a bag of brand new items. Items that have never been worn, and still have the tags on them. Consignor 979 brought us a bag of nothing but brand new items today, and they are AMAZING! Frye boots, Ugg boots, and Rock & Republic jeans! Another pair of Frye boots! A third pair! 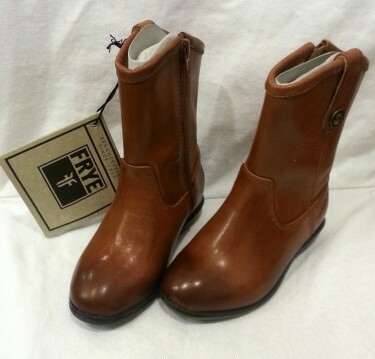 Brand new Frye boots. Also got some Ugg boots! Got in a couple of brand new Rock & Republic maternity jeans. Size 25 and 26, $64.99 each. Brand new jeans by Babycottons.